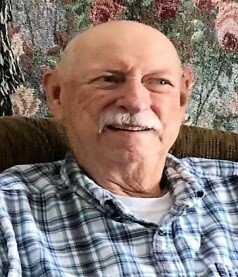 Hughes, Howard W. “Bill” 78 of Springfield, was at home when he lost his battle with leukemia on Thursday July 19, 2018. Bill was born April 23, 1940 in Springfield, Ohio to Howard and Catherine Hughes. Bill retired from Navistar International where he was known as the “train man” because of his love of American Flyer trains. Bill also enjoyed spending time with his family, golfing, watching Nascar races on TV always waking up for the crashes, and crossword puzzles. He leaves behind to cherish his memory, his wife of 56 years Joyce (Blauvelt); children Lisa (Gary) McClure, David (Johnna) Hughes, Denise (Tom) Miller; grandchildren Matthew and Garrett McClure, Karrah (Joe) Danley and Kacey Miller; step grandchildren Stacie (Andy) Kinel and Corey Little; and six step great grandchildren. Bill is also survived by his sister Patricia Beard, in-laws Richard Blauvelt, Marlene Zettler, and Corrine (Robert) Kunk, numerous nieces and nephews, and many cherished friends. He was preceded in death by his parents, sister and brother-in-law Teresa and Jerry Rinker, and in-laws Richard Beard and Karl and IvaLou Blauvelt. Honoring Bill’s wishes a service will not be held. A celebration of Bill’s life will be held on Saturday July 28, 2018 at the Vineyard Church of Northridge, 4650 Ridgewood Rd. E, Springfield, Ohio from 1 to 4 pm. Funeral arrangements by Ferncliff Funeral Home.